Sophie Glickstein joined Kauff McGuire & Margolis in 2018 as an associate attorney. Sophie practices employment-based and family-based immigration law, including visas, waivers, permanent residency and naturalization. Before joining Kauff McGuire, Sophie practiced immigration law in Chicago with a focus on removal defense, family-based immigration, and asylum. She also served as a judicial clerk for a federal judge in the Northern District of Illinois. Sophie graduated from Harvard Law School in 2015 and Williams College in 2010. 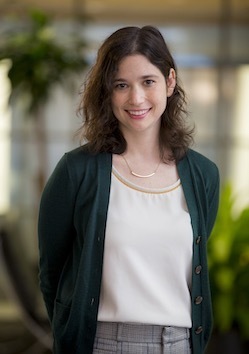 During law school, Sophie worked as a student attorney at the Harvard Immigration and Refugee Clinic, Harvard Immigration Project, and the University of Tel Aviv Refugee Rights Clinic. She is a member of the American Immigration Lawyers Association and is proficient in Spanish.